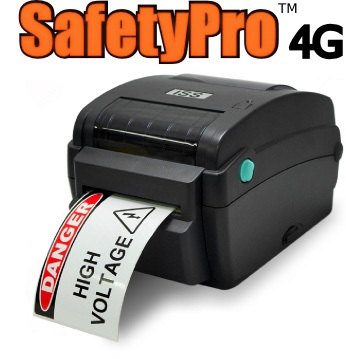 The SafetyPro 4G desktop labeler is designed to save you more. We understand that every project has a budget, and the SafetyPro 4G will help you keep that budget, without compromising on quality. Our 4G labeling tape is the same quality as our world renowned SafetyPro vinyl, which is tested and used in the harshest environments. For most jobs, the 4G is enough labeling power, but the real value lies in flexibilty and price. The 4G is designed for low-volume jobs, and can save smaller customers money and provide more flexibility in supply orders. Just as easy as SafetyPro! The original SafetyPro printer gained its popularity from ease-of-use, price and quality. The SafetyPro 4G is just as easy to load, and will save you time and money! Get the full FacilityWare labeling suite, free! Don't buy a discount printer that looks good, but has lousy software and support! 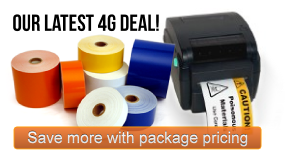 With SafetyPro 4G, you get a full labeling suite, complete with over 2500 safety and labeling icons, plus over 4500 blank and pre-made sign templates. Call 877-762-9280 today and we'll answer all of your questions about the SafetyPro 4G, or about your labeling project requirements.